It's a good thing that Marc Jacobs is closing the New York Fashion Week even though because of it, the schedule is pretty tight and prevents some people from attending the first shows of London. 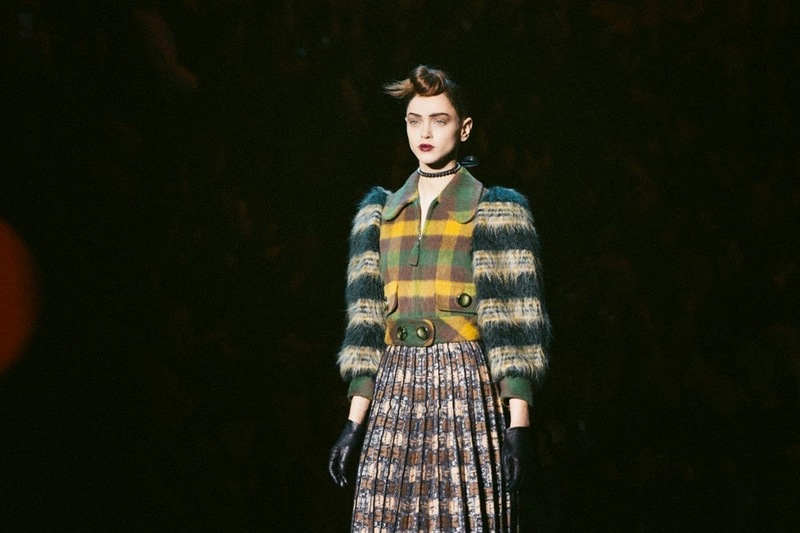 Those who choose to stay for Marc know they will attend something particular, something very special, something to be remembered (positively or negatively): Marc Jacobs is a showman! The fact that he closes the Fashion Week is justified by what he has brought to Fashion and only him in New York can make people stay, only him can arouse such a vivacious interest and as the famous proverb says: Always save the best for last. People do not necessarily agree with what we are saying, gossips on the net even say that Marc Jacobs now has trouble to catch the attention. We can't agree with that! 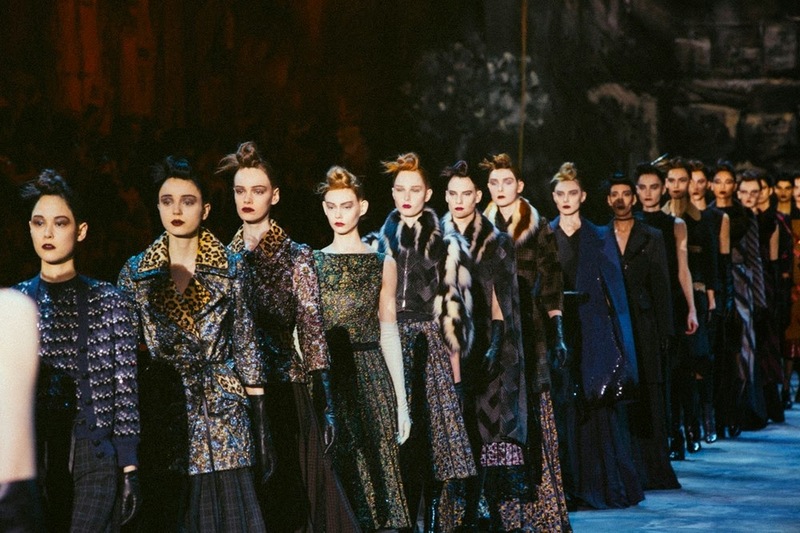 Think of the 2013 season with his big farewell at Louis Vuitton and his outstanding Victorian show (set in a kind of pre-Katrina New Orleans) completely disrupting with the classic Fashion experience. It was just the magical end of an era. 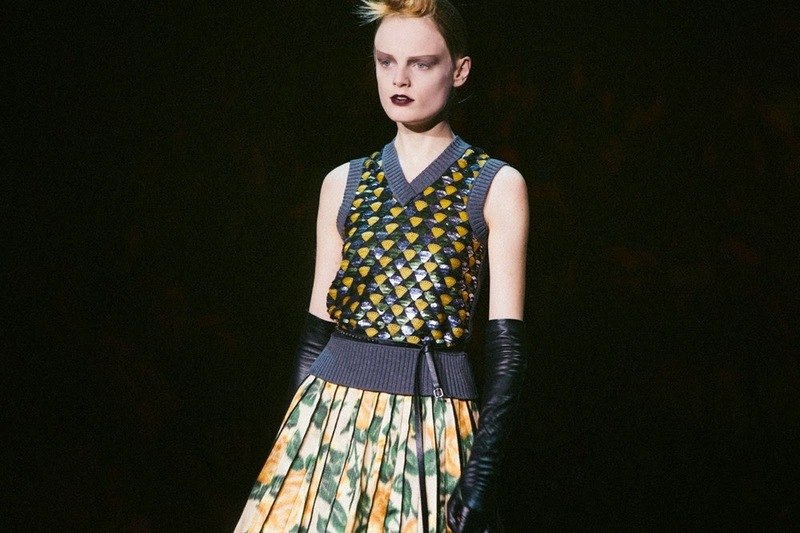 Now that he is fully in charge of Marc Jacobs it's as if he had completely started afresh and he might need some time to "acclimatize" to this kind of new position. 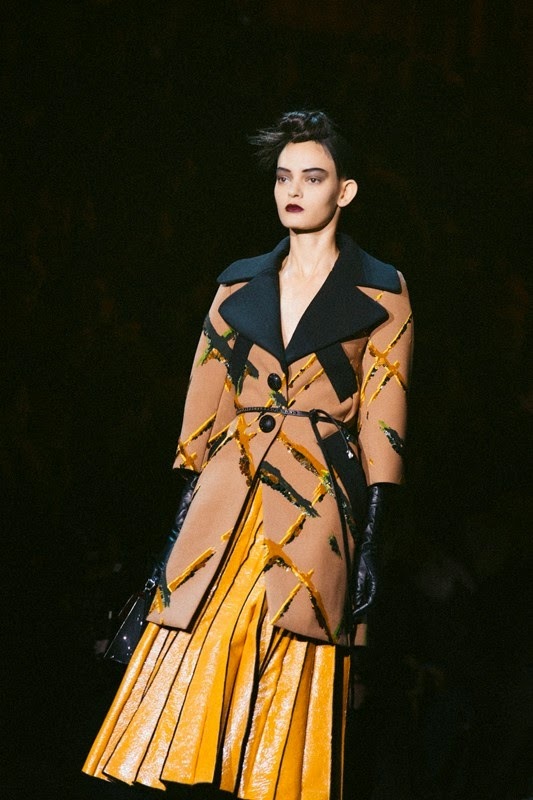 Ok, the Autumn Winter 14 show punctuated by the words of Jessica Lange and her "Happy Days Are Here Again" fell flat with dull and unconvincing clothes and a long, very long runway presentation. Yet, this collection must not be thrown away into forgetfulness. His utilitarian collection for Spring Summer 15 was a dialogue with Fashion about the uniform, editing pieces we had never seen before. This insatiable need to create, this taste for excess, for the spectacular is at the core of his latest collection, his tribute to the legendary Vogue editor-in-chief (and much more) Diana Vreeland, celebrating the hyper-feminine and sophisticated wardrobe of a woman who stands way above all the other women. But more than a mere tribute, it is also a pretext to deal with a lot of other things going on in Fashion and as she used to say: "The eye has to travel". Our eyes did travel! 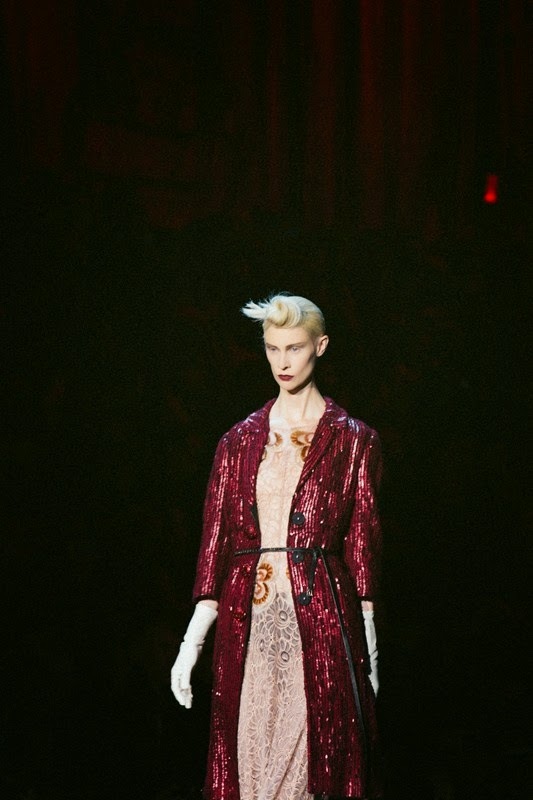 What is sumptuous in this collection is that Marc Jacobs is taking us through a multitude of important periods for Fashion but with a common point, this idea of hyper femininity. It's at the same time a tribute to the past and an utterly modern collection. 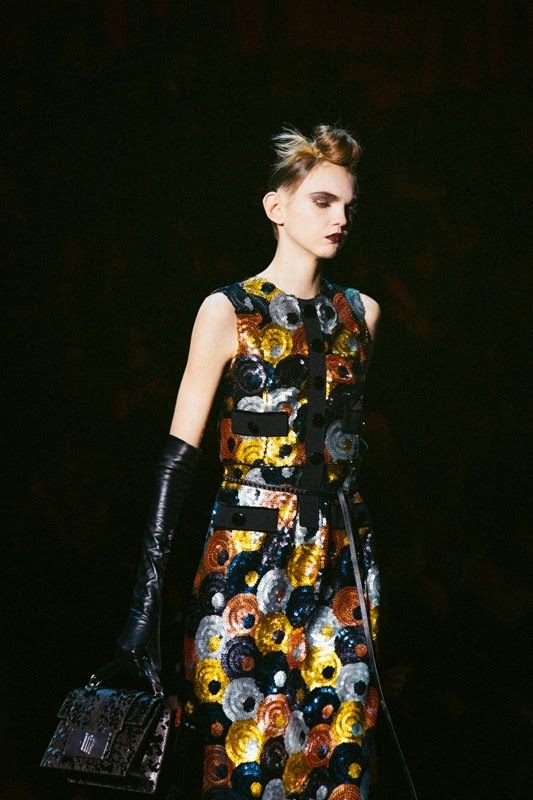 Marc Jacobs astounds us with this ability to build a unique collection mixing different periods, styles, fabrics without giving it an old touch. He even brings back cuts or fabrics we had forgotten but that still seem relevant, high-fashion and unique. Just like the choice of the soundtrack actually. In the movie Requiem For The Dream, the music is used crescendo to bring us to the worst. 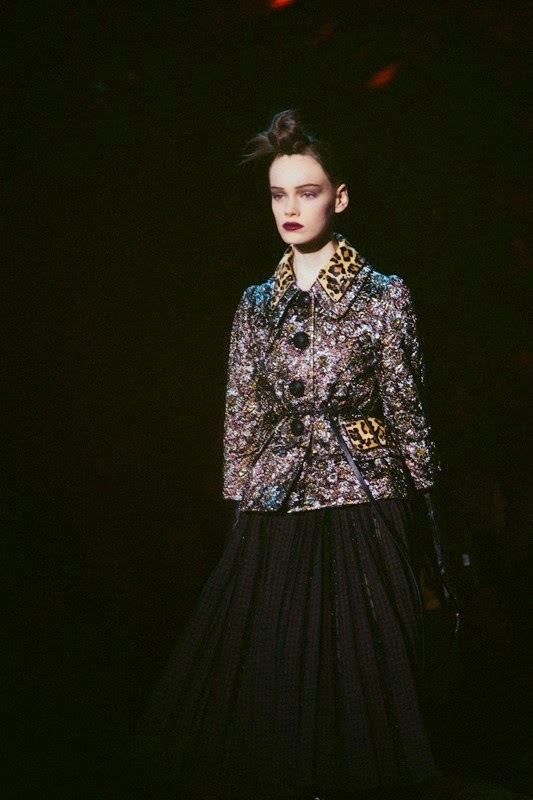 Here, Marc Jacobs uses this music to bring us to the most majestic, the most superb part of the show. As the music toughened, we were waiting for the speechless part, for the goosebumps, this emotion of Fashion we were all looking for. And it happened. No down-time. 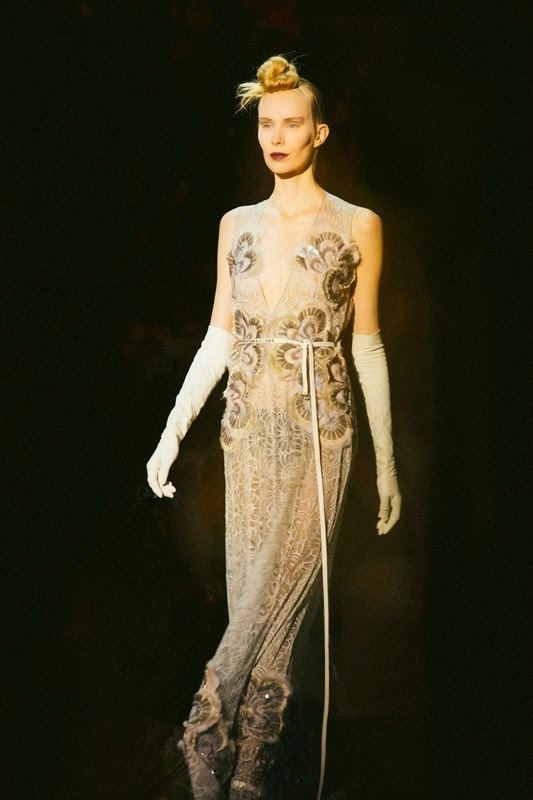 We went from daywear to eveningwear, from the 40s to the 60s via the Victorian age, from irreverence to femininity, from boldness to audacity, bringing back heavy brocade, beaded and embroidered toilettes. It was another over-the-top runway, one of his best collections so far. We all know that all these pieces are not going to be produced because what Marc Jacobs really wanted was to express his creative genius. It is ballsy to dedicate a show to such an iconic person as Diana Vreeland, to design a collection that is not meant to be commercial (even if we have no doubts that it will sell) but whose only goal is to remain anchored in our minds, hearts and eyes that will keep travelling again and again. 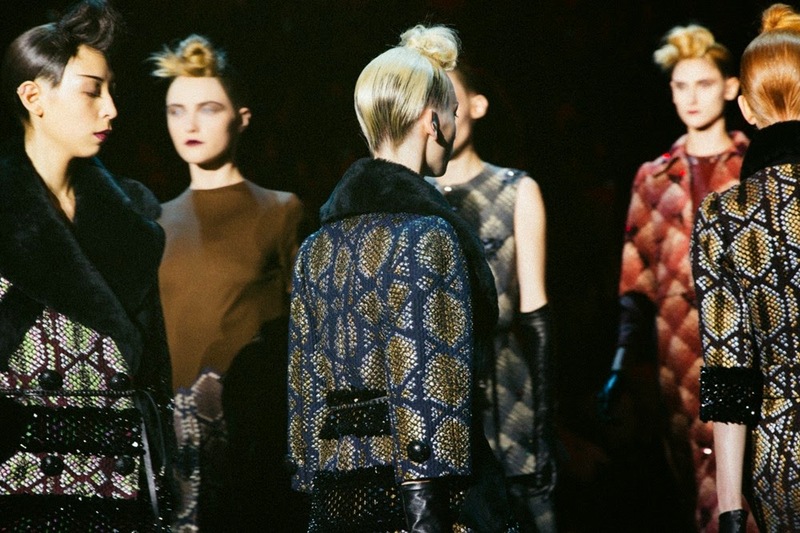 Marc Jacobs does have wonderful lineups for FW, but I wouldn't say he's the best. He's really good, but the best? I'm not sure.